Engraving (by C.H. 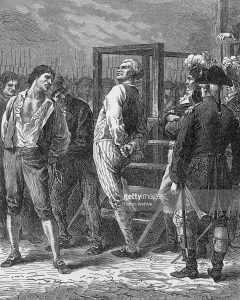 Barbant, 1800s) shows French revolutionary Georges Jacques Danton (1759 – 1794) (center) as he definantly looks over the crowd as he climbs the steps to his execution by guillotine for conspiracy to overthrow the government during the French Revolution, Paris, France, April 5, 1794. He is watched by fellow condemned prisoner Camille Desmoulins (1760 – 1794) (born Lucie Simplice Camille Benoist Desmoulins) (left) and a number of armed soldiers. After the execution of Louis XVI a vacuum opened up at the heart of French revolution. Parties who had once been united in opposition to the monarchy and the Ancien Régime splintered into different factions all competing to have their version of the revolution realised. 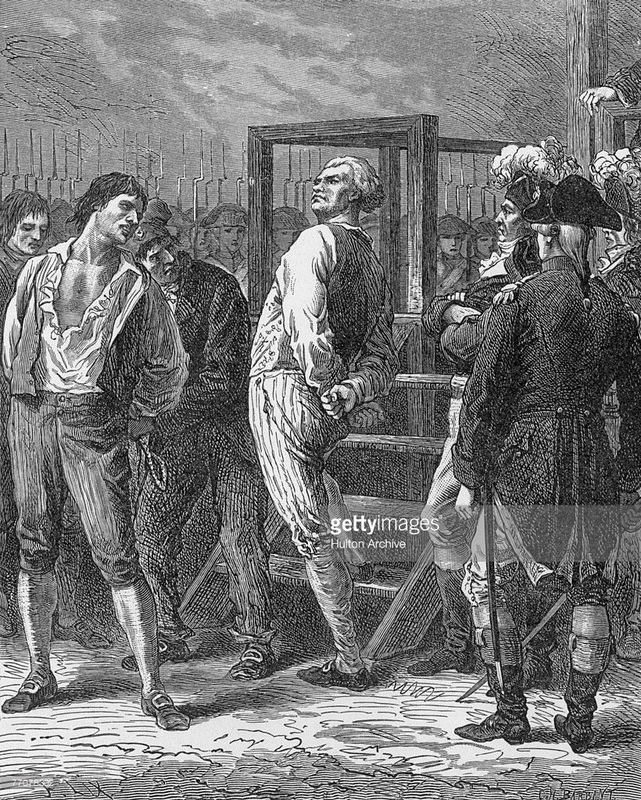 Terror ensued, thousands were killed (estimates range from 16,000 to 40,000 executed) and friends turned on friends, each accusing the other of counter revolutionary ideas, first Desmoulins was sent to the guillotine, then Danton, and finally Robespierre. The three leaders who had fought hardest to create the revolution were torn apart by their differences and engulfed by the anarchy that surrounded them. Two hundred and twenty years later, the differences in their political opinions seem trivial and insignificant. What categorises them for us is their status as leaders of the revolution. Yet to them their ideas were everything and they died struggling for them to succeed. They knew the dangers and they could have fled, but they stayed and argued because ideas matter. Ideas, articulated, wrangled over, contested, and disputed, matter. They matter because that’s how we change the world. Now, I’m not suggesting that the ongoing struggle within our own community in education is anything like the French Revolution (although you might like to imagine who would play the different roles) yet there are parallels. The first is the passion. Very few people who write about education don’t care about education. If they did why would they spend their time writing about it? 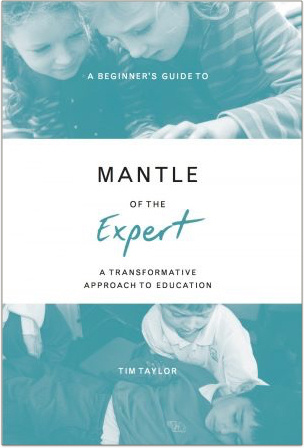 We all want to find the best ways for students to learn, we all want to raise literacy rates, improve kids’ writing, make them better at maths, increase their banks of knowledge, their capacity to think reasonably and critically, these things go without saying. And because we care, there is always going to be passion, there are always going to be disputes, disagreements, and falling out, it’s inevitable. Obviously we draw the line at political tribunals and summary executions, but you get my point? 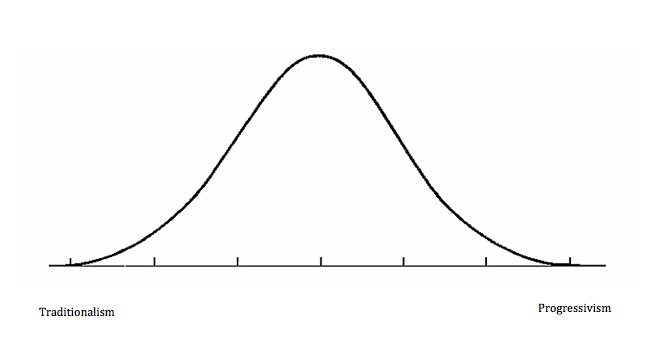 From reading and observation, I’d suggest Fig.1 largely represents the traditionalist camp, since there is a broad agreement on ideas and beliefs, whereas Fig.2 is more representational of the progressives, since there is a much wider divergence of opinion and much less agreement. Now, I have to be careful not to be beguiled here by the neatness of my explanation. For although I might think it describes how our community is shaped, it is a very long way from capturing the whole picture. In reality there is a wide range of ideas that people use not because they are ideologically committed to them, but because they believe they work in their classrooms. For this reason many people don’t like the idea of a dichotomy, arguing it doesn’t truly reflect the reality of their experience – “Teaching,” they say, “is a practical business and I use methods from both sides” And this is a reasonable argument. It goes a long way to describing what actually happens on the ground. It’s pragmatic, and to be honest, in education, most people are pragmatic. They don’t care from which camp the idea comes from; if it works they’ll use it. As you see I believe most people are somewhere in the middle, neither entirely traditionalist nor entirely progressive. For this reason a teacher might sometimes arrange the tables in her classrooms in rows and sometimes in groups, or even sometimes stacked up against the wall, if the activity calls for it. Or they might create a list of class rules in collaboration with their students at the start of the year, whilst still using a system of detentions for children who break them. My point is they use strategies based not on where they appear in the traditionalist v progressivist dichotomy, but on whether they work for them in their day-to-day practice. At this point you might want to disagree. Andrew Smith (AKA Old Andrew) has argued consistently that this pragmatism is only a smoke screen for hiding people’s real beliefs and that if you fail to endorse any of the key disagreements between the two sides you in effect are an “heir to the progressives”. He highlights three main areas of disagreement – content, authority, and methods – marking out clearly where the dividing line is. In Andrew’s version of the dichotomy you either are or you are not a traditionalist. Any disagreement with the tenet of traditionalism will make you a progressive. They are binary opposites, like darkness or light, good or evil, revolution or counter-revolution, there are no grey areas, nowhere in-between, just true-belief or heresy. Now, such a binary approach has its advantages. For one, it’s simple. You’re either with us or you’re against us, like a battlefield. For another, (again like a battlefield) you can identify your enemy and attack them. This Andrew and others in the traditionalist camp do consistently (some might say fervently), blaming all educational ills on the evils of progressivism. But, and this is the important point, does this framing of the debate as a binary opposition genuinely reflect reality or is it rather a trick with words designed to make the argument suit a particular purpose? Andrew is right when he says progressivism is “not a coherent ideology”, but he can’t have it both ways. Hot is hot and cold is cold. They do not encompass the range in between and are not defined by not having the qualities of the other – hot is not: not-cold; and cold is not: not-hot. There is a range of other variations in between – warm, lukewarm, ambient, tepid, cool, etc – which all have their own qualities. By defining progressivism as not-traditionalism Andrew is trying to deny the range of ideas and beliefs that exist between the two and involve qualities of both. This I think is why most people resist labelling themselves as progressivist, not because they are in denial, but because they don’t see themselves as entirely progressive in ideology. It would be like saying I’m a Communist because I don’t embrace every tenet of UKIP. Said like that it sounds crazy, but that is what Andrew is claiming. So where does that leave us? And this is where I’d like the debate to go in future, away from battles and fights to be won, towards a place of greater respect and mutual inquiry. In July I’m debating at the Big Homerton debate in Cambridge. 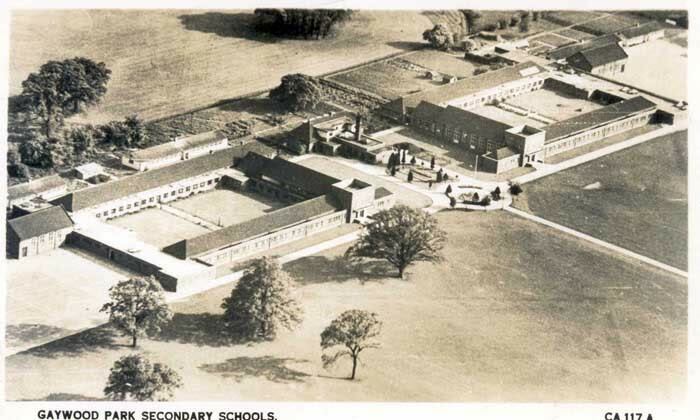 Now, I’ve never been in a debate, we didn’t have them at Gaywood Park secondary modern in the 1970s, so to be honest I’m not sure what to expect. I’m up against Michael Fordham, who is a formidable opponent and someone I respect enormously, so I’m expecting a passionate and committed argument about ideas. I don’t suppose Michael and I will agree on everything, but that’s fine, that’s what genuine debate is about. But I hope we will find some areas of agreement, some areas where we can move forward, and some areas where our views align. That would be good, that would be progress. And hopefully no one will lose their head. Pre-order using the "Add to Cart" button.